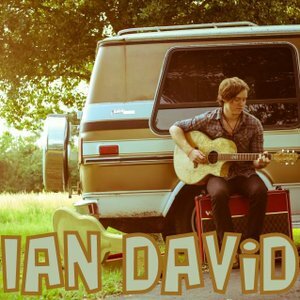 Racking up over a million YouTube views, opening for bands such as “Never Shout Never”, getting featured on Apples iRadio as some of iTunes most popular 2013 summer music, & being featured in an Alternative Press Magazine Ian David wants his music and voice to be heard and wants the message of love shared. Ian grew up in a small town called Tomball right outside of Houston, Tx and started writing music when he was 15 as he says “I started singing when the lead singer in my high school band started teaching me harmonies and he just kept teaching me how to get better”. Ian, only 20, released his debut EP “Love Love” two summers ago and his softmore EP “Pray for Peace” soon after.